The 2012-13 A-League season was one of the most anticipated in recent memory. And, judging by the performances on the pitch, as well as the reaction of the general public, the expectations were justified. This is largely to do with two key factors: an even playing field, and the new marquee signings. 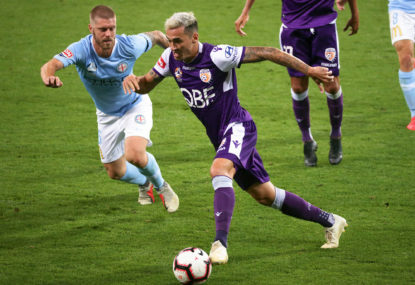 The 2012-13 A-League season is shaping up to be the most hotly contested campaign in the competition’s seven-year history. Only three rounds have been completed thus far; however there appears to be very little separating the best from the worst. 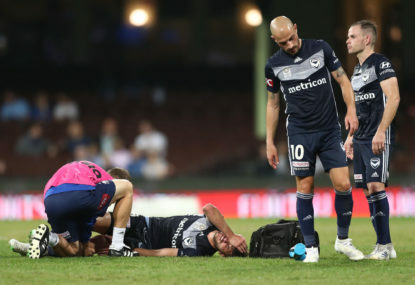 Early front-runner Adelaide United holds a mere three-point advantage over the club it lost to last week – Melbourne Victory, in ninth position on three points. Evidently, a competition which utilises a salary cap system, in conjunction with a restriction on player signings, will reduce the inequality throughout the league. It provides an equal opportunity – in fiscal terms within the salary cap – for all clubs to realistically be competitive and of course, harbour ambitions of being crowned champions. These elements are what draw the Australian sporting public towards our major codes. Without the salary cap, bigger clubs would consistently dominate, leaving the weaker clubs to make up the numbers. The competition may be unpredictable at the best of times, but it’s what makes the league ever so exciting. We’re in for another enthralling year, with the addition of some high-profile signings. The addition of the marquee system, external to the salary cap, has certainly been a work-in-progress since the A-League’s inception. The concept is brilliant for a marketplace like Australia, although it hasn’t been utilised in the most productive manner in its early years. Since Dwight Yorke’s appearance in version one, many of the marquee names haven’t lived up to their names, or status. There has been the odd exception, ex-England international Robbie Fowler for instance, however the marquee system hasn’t quite worked as well as many would have liked. When we backtrack a few years, the landscape has change remarkably. Gone are the days where clubs seek to sign over-the-hill players, well and truly past their prime. Former Brazilian star Romario at the tender age of 40 was nothing more than a poor public relations stunt, while a visibly uninterested Mario Jardel proved to be a disaster – leaving mid-season during 2007-08. 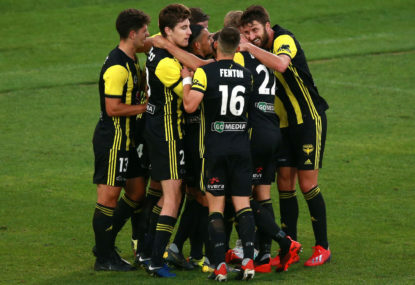 The A-League has evolved since those days, and importantly, it’s continuing to do so in an impressive manner. Only last season we witnessed the unprecedented arrivals of Socceroo luminaries Harry Kewell and Brett Emerton – at Melbourne Victory and Sydney FC respectively. Their signatures bolstered the competition’s image, and illustrated that the A-League was heading in the right direction. However, nothing prepared us for who would be arriving down under, come season eight – Italian legend Alessandro Del Piero and former English Premier League veteran Emile Heskey. Both are magnificent coups, not only for the Sky Blues and Jets respectively, but for the A-League as a whole. Del Piero, an idol back in his homeland, is not only making soundwaves around Australia, but all throughout the world. Honestly, who would have thought that the A-League would be televised live throughout Italy? Sometimes, we need to pinch ourselves at what is being unearthed. It further illustrates, a pipedream may just come into fruition, earlier than we may have anticipated. Del Piero provides immense commercial and marketing opportunities for Sydney FC. Already, there are reports surfacing of the Sky Blues planning a post-season tour of Asia, along with a home-coming fixture for their marquee-man against Italian powerhouse Juventus, in Torino. While a marquee player’s marketing abilities play an important role, their off-field attraction become insignificant if they don’t perform on the pitch. In Del Piero’s and Heskey’s case, the entrée we’ve received so far is enticing, with further surprises to come. In only three outings, both have hit the back of the net on two occasions, and looked ominous in the process. Shinji Ono, Western Sydney Wanderers’ inaugural international marquee, may not capture the same headlines as his higher profile colleagues, although his influence on the field is sure to play a pivotal role in the expansion club’s first campaign. The club’s growing contingent of supporters seem to have embraced the Japanese international with open arms. 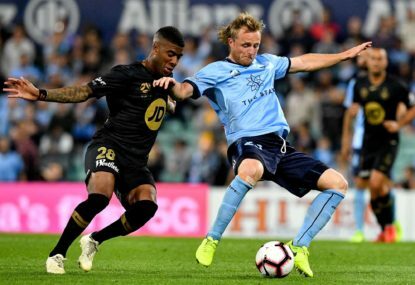 His English may be a little sketchy, but he has professed that his football will be doing all the talking – a mouth-watering prospect for any Wanderers fan. The current marquees on offer may just be the catalysts for further big-name signings to play in our domestic competition. 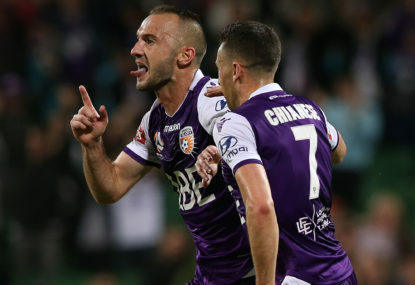 Don’t be surprised if the A-League soon develops into a similar version of America’s MLS.